What only hardware mixers were capable of back in the 1980s and 1990s is now already possible with personal computers. And it did not require much – just radical developments in video mixer software technology. But then, that was already a major achievement in itself, isn’t it? What follows is a listing of 10 contemporary innovations that provide the best and most affordable solutions to video production including some programs that are meant for the processing of live video feeds. 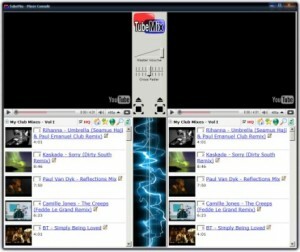 TubeMix 3 runs on Windows platforms. 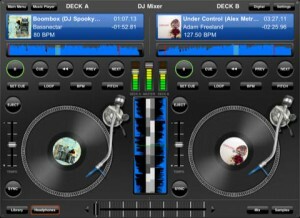 It is a DJ-style program that employs two embedded players. While you use one to play videos, you may very well use the other for mixing. The controls are easy to use and with this tool you would have a smartly put together video mix in a jiffy. 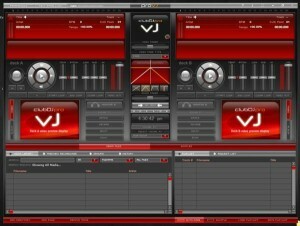 VJs and DJs, both pro and amateur, would find this tool very handy indeed. The interface is intuitive, revolutionary in its mixing tools, and very easy to use. It is capable of producing very exciting live mixes. Whatever audio-visual material you have to work on, this software would surely make a dynamic video mix to get you lots of likes, or whatever passes for likes in certain platforms. Fans of this tool swear up and down that this is the “most stable” video mixing program in the market right now. DJs prefer to work with a high quality kit and it appears that they get it from this compact package right here. 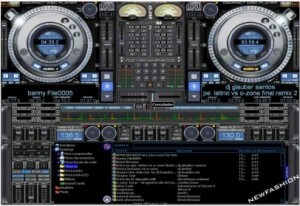 The software is designed for the use of professional VJs and DJs for both automated and live mixing. It seems that the creators of the software have reached the mark, and a notch higher. 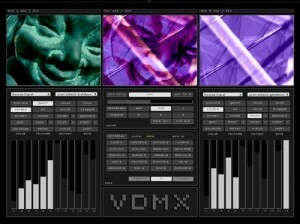 Modul8 VJ Software doesn’t only possess a smart name, but it also is smartly designed to provide users with a flexible, intuitive video mixing tool. It is particularly set up for real time video streams, interactive installations, and improvisational work as well. One of its advantages over others is that it can be used effectively by both newbies and veterans on both Intel and Power PC processors. Trinity Technologies of Mumbai, India has this relatively recent offer for those who absolutely love to do live online video mixing but can’t afford to avail of the more expensive hardware required. If you have feed from four cameras, prefer seamless switching, like to see the feed without video monitor and with graphics overlay, then Trinity DV Mixer is the choice for you. 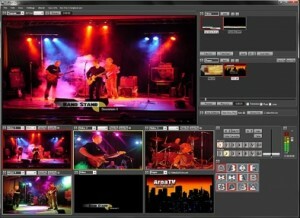 With CutFour DV3 software you can preview all input channels without needing external monitors. It has many impressive features for a live video mixing tool and the modified user interface is much better in all respects. The output to expect is high digital video quality and probably that is all that really matters in the end. 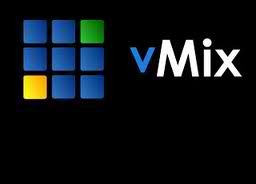 For Windows users, we’ll probably recommend vMix before any other program. This new release works best with Windows 7, XP, and Vista. The main strength of vMix is on live high definition video mixing which is probably what many of those who have the inclination prefer. The best thing about vMix is that it is affordable. You don’t need to save more for expensive hardware when you can already get enough for affordable software. DJ’s generally love ClubDJ ProVJ even if it is kind of complex – or maybe they love it because it is rather complex and it is a complete solution. If you’re not that into DJ or VJ stuff, then what you need to know is its karaoke mixing capability. Of course, it is a great video mixing tool as it already is. 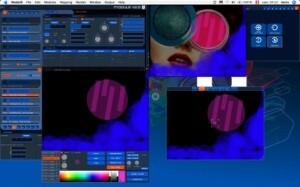 VDMX is particularly proud of its fontsynth™ technology. Before we move on, this software is only compatible with Mac. 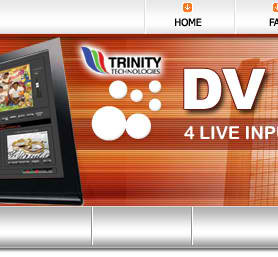 With that said, it has the flexibility and the multi-faceted features of video mixing hardware. The interface assures efficiency in the process of mixing (fewer steps towards the same goal). Its main features are: (1) mixing and improvisation of live video performance, (2) seamless streaming production, (3) precise cueing mechanisms for stage performances, and (4) supports various types of studio work. What can the other contenders do when you have a BeatLock engine running things for you? That particular feature made us decide to give Virtual DJ Pro the number one spot on this list. Mixing tunes is less bulky in terms of weight these days. And this compact package and very simple controls proves, once and for all, that great things come in small packages. If you have a few video files just waiting for the right software mix, all you need to do know is decide which of the above video mixer software appeals to your tastes and preferences. Thanks, i didn’t knew vMix, this is awesome for simple broadcasting 🙂 Thanks. Virtual Dj is a total rip off. They make you pay $300 to get their logo off your video screen. For mixing, everyone has them spanked. Don’t waste your money on the “no.1 pick”. The folks who run this site, either have lots of money to waste on inferior software, or don’t really use these products in club settings. I hope one day, Virtual Dj just goes away, and we never hear from their dishonest a$$es again.